We designed them for your kids, though you'll admire Tobbles too! The best playthings look good - and play better. Tobbles is no exception. Looking gorgeous is one thing. Gratifying to hold in your hands is another. The dual-textured surface of each sphere, the pleasant heft to each weighted piece... It gets better. Just wait until you see Tobbles in motion. Physics interplays with design perfection. Creativity, experimentation, and innovative play take on a new spin. And do they ever spin! Six uniquely weighted Tobbles pieces to carefully balance, suitably nest, recklessly spin and tower far above your expectations. For encouraging sensory exploration, hand-eye coordination, fine motor skills, and visual spatial awareness, Tobbles is a dynamic toy with truly endless possibilities. 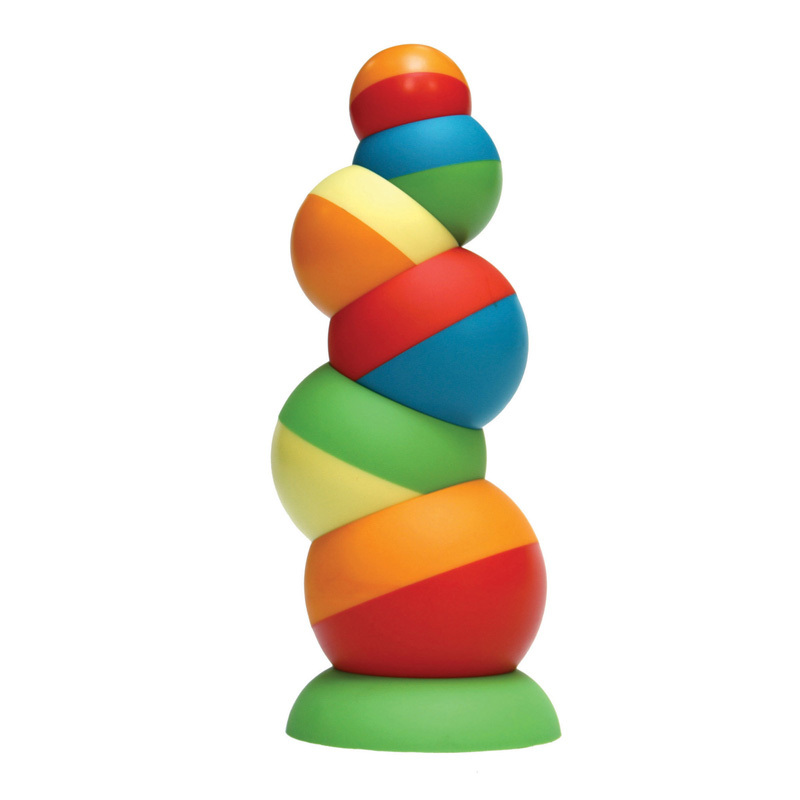 Stack, topple, spin, balance, wobble, tilt, and wiggle. Little hands delight in the never-ending discovery of Tobbles. A design-savvy conversation piece, Tobbles accelerates aptitudes for exploration with hours of abstract fun!